The people of Kuraray are committed to the future of our company, our customers, and the people they serve. Continual investments in plant expansion, new technology, and our elite workforce ensure that we stay ahead of our competitors. We offer an opportunity to work in a diverse environment where we place a premium on personal and professional growth. It is our firm belief that all employees play an integral part in the success and expansion of Kuraray. To view current available positions click here. Our employees enjoy an attractive healthcare benefits package, including wellness reimbursements to promote a healthy lifestyle. We also provide an Educational Reimbursement Plan, helping our employees fulfill their career goals, as well as a competitive 401K through Fidelity Investments. We offer a competitive compensation package that includes base pay, annual bonuses, and long-term incentives for qualifying employees. These programs are designed to reward individual performance and align overall rewards with corporate and team performance. Paid time-off benefits include sick leave, vacation, holiday, and disability pay. 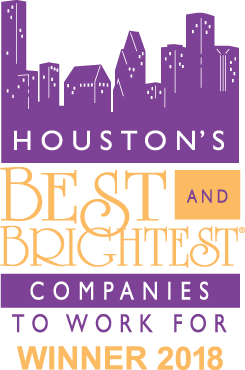 For the second year in a row, Kuraray has been honored as one of Houston’s “Best and Brightest” companies to work for. Us, along with 100 other companies were selected this year. The organization assesses applicants in a variety of disciplines that include: compensation, community involvement and giving, work-life balance, diversity, and much more.